By Sara Benner I love to bake— especially cake and bread. There’s just something comforting about a warm loaf of bread in the oven, its aroma enlivening the air. Since my diagnosis with gluten intolerance last summer, my forays into the world of delicate merengue and cold fermentation have come to an abrupt halt. Gluten-intolerance is the digestive inability to process wheat. Flour, the greatest constituent of the dry ingredients in any baking recipe, is ground wheat germ. I haven’t really cared to dabble in gluten-free baking because all I’ve ever heard from anyone with any expertise on the subject was that gluten-free baking is tricky. Despite all the gluten-free products on the shelves, there are few premixed flours that are perfect substitutes for good old wheat. Of course, there’s always the DIY option, but then you have to mix three or sometimes four different types of flour and then use xanthan gum to make it all stick together... ain’t nobody got time for that! 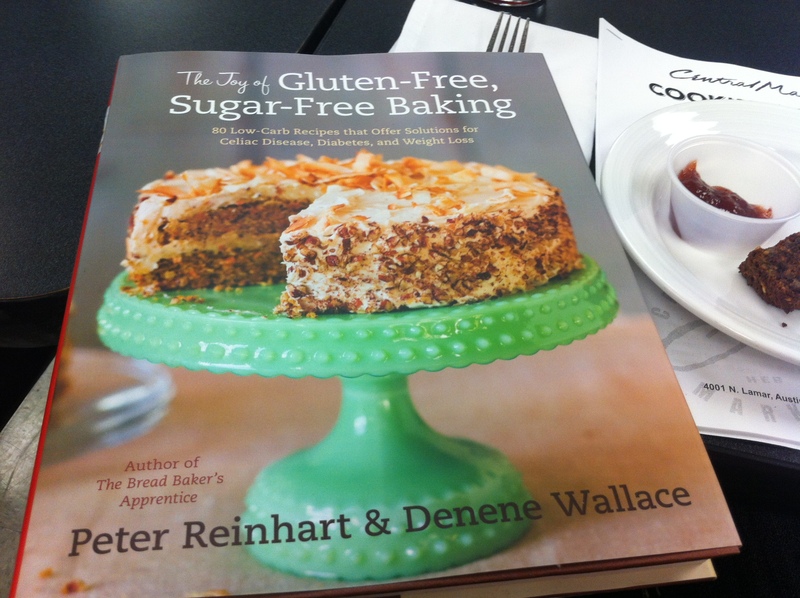 So when I went to Peter Reinhart’s cookbook demonstration for The Joy of Gluten-Free, Sugar-Free Baking, I was really apprehensive about the whole ordeal. I mean, surely, baking is impossible without sugar and wheat. Well, it’s Peter 1 and Sara 0. Using nut and seed flowers, this cookbook makes moist homemade bread and cake possible. Though I wasn’t crazy about his hushpuppies or bland toasting bread, I loved the Sweet Pecan Bread he demoed, so much so I bought almond and pecan flour that night and made it myself. I couldn’t get over how sweet and moist it was. It was kind of like a pecan cinnamon roll, but with a coffee cake-like consistency. Then the next day, I loosely followed his “Any Nut Bread,” substituting a cup and a half of the almond and pecan meal I had left from the day before with the ambiguously premixed gluten-free flour. It actually turned out pretty well! I’m just impressed it didn’t turn into a solid brick, which sometimes happens with gluten-free baking. It was bread with a not too sweet but nutty flavor and a cornbread-like consistency. While some recipes aren’t quite like the real thing at all, the bread recipes are a success in my book.